Do you have a box or drawer full of travel memorabilia crying out to become more than a pile of memories? Have you promised yourself that you will return to it someday and make something meaningful? Have you wished to investigate various journal forms to use while traveling? This course is designed to help you develop your memorabilia into your own expressive travel response. Get your creative juices flowing during a slide lecture which gives a glimpse into the pivotal role of travel in the work of both historical and contemporary artists. You will be presented with a wide spectrum of multimedia artist travel journals. Inspiration in the classroom will involve quick writing and drawing exercises, hands-on viewing of various journal forms and components, and group discussion of past journaling experiences which proved to be both positive and negative. In addition we will take a day to travel to a nearby destination either in the Loire Valley or Parc Naturel Régonal du Perche. 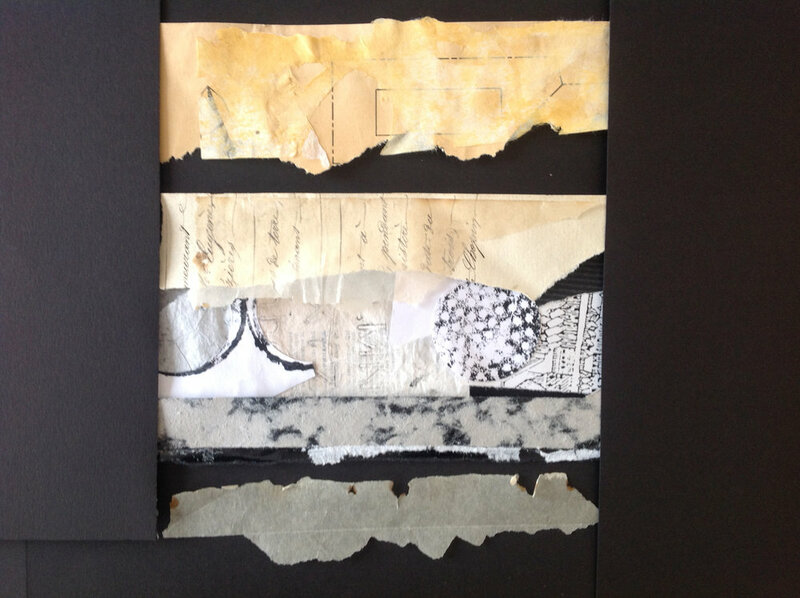 Students will use their own travel ephemera: photos, drawings, digital imagery, postcards, maps, collages, writings, rubbings, calligraphies or collected mementos as a springboard for an extended project. Each person’s creation will be entirely unique from original concept to final resolution. 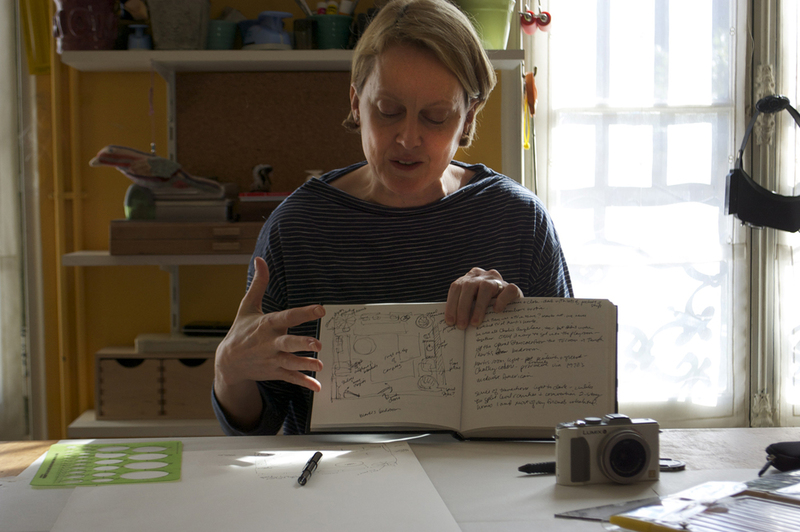 Whether a book, journal, collage, assemblage or series of drawings, Gail will guide students in creating their own project and offer a myriad of techniques to achieve a truly memorable work of art. The cost of this 5 day workshop, includes the course, and 5 nights stay at Maison Conti, meals and one day trip. To register, you send a check or bank transfer of $1023 directly to Gail, which is fully refundable up to April 1, 2018. The final payment of 890€ to Maison Conti is due on 1 September, 2018 and can be paid by credit card. Gail Rieke lives and works in Santa Fe, New Mexico. 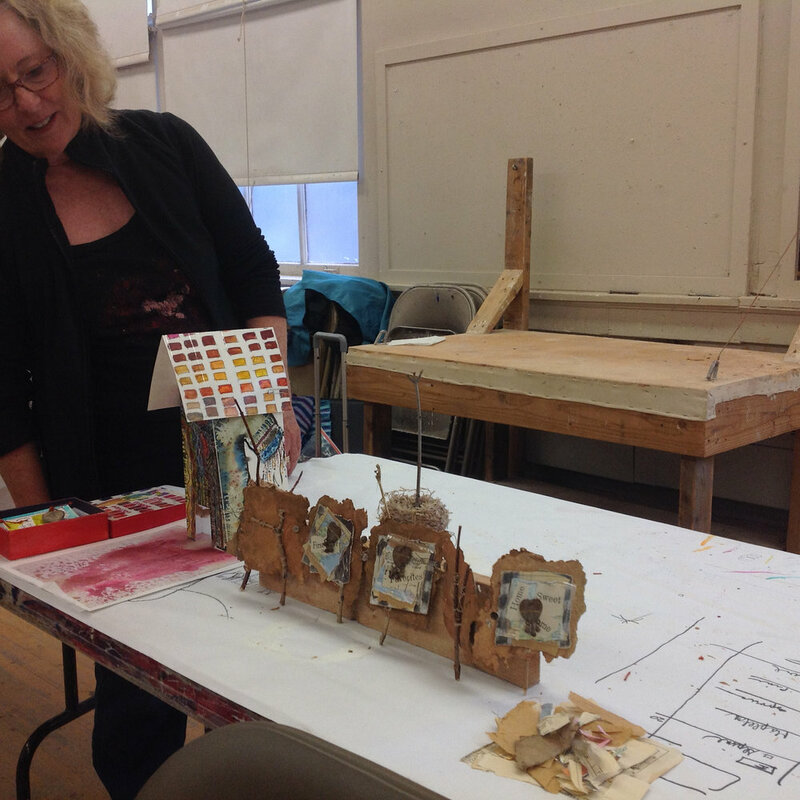 She has received numerous professional awards for her assemblage/collage work. Her art and beautiful studio have been featured in several art journals and her work is collected internationally. She has led several tours to Japan, whose culture richly informs her aesthetic. She has taught 5 workshops in France and has traveled widely in Europe. She also gives courses throughout the United States.